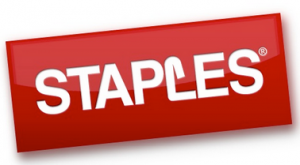 Here are all the deals in the Staples Black Friday Ad. The deals will start Thanksgiving day at 8 pm till midnight and then begin again Friday morning at 6 am. If you are looking for the best deal on a specific product, use the Black Friday Item Search. Duracell Coppertop AA/AAA/C/D Batteries, 8 pk.